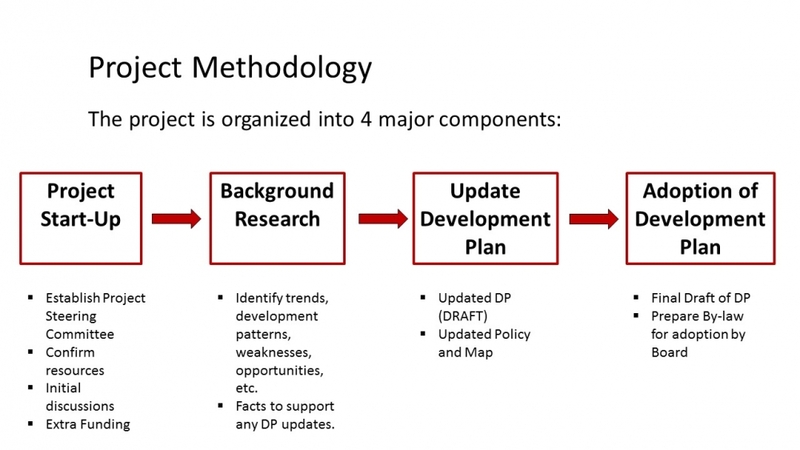 On May 1, 2017 the Red River Planning District started the process of updating the Planning District's Development Plan. The project will involve consolidating the three existing Development Plans into one, identifying new areas for development, and refining policies that need improvement. 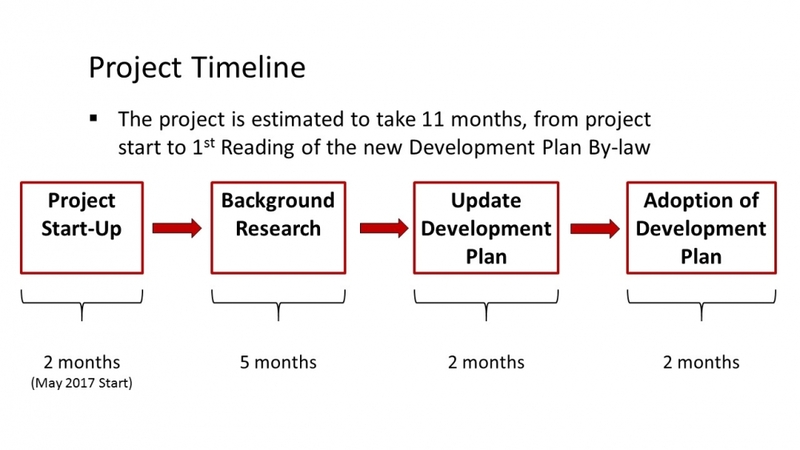 The graphic below illustrates the project components and timeline. Additional information will be added to this website as the project progresses. For any general questions or comments related to the Development Plan Update Project, feel free to contact us at DevPlanUpdate@rrpd.ca.